Home Depot's days of supporting Apple Pay seems have come to an end. The home improvement retailer unofficially accepted wireless payments from the iPhone 6, but has quietly dropped that most likely because of its support for PayPal. We currently do not accept Apple Pay in our local stores or online. We do have the option of using PayPal, in store or online. Since Apple Pay uses NFC, or near field communication, for wireless credit card transactions it's likely Home Depot simply disabled the feature in its stores. If so, Android device owners who use their smartphone for payments are now out of luck, too. 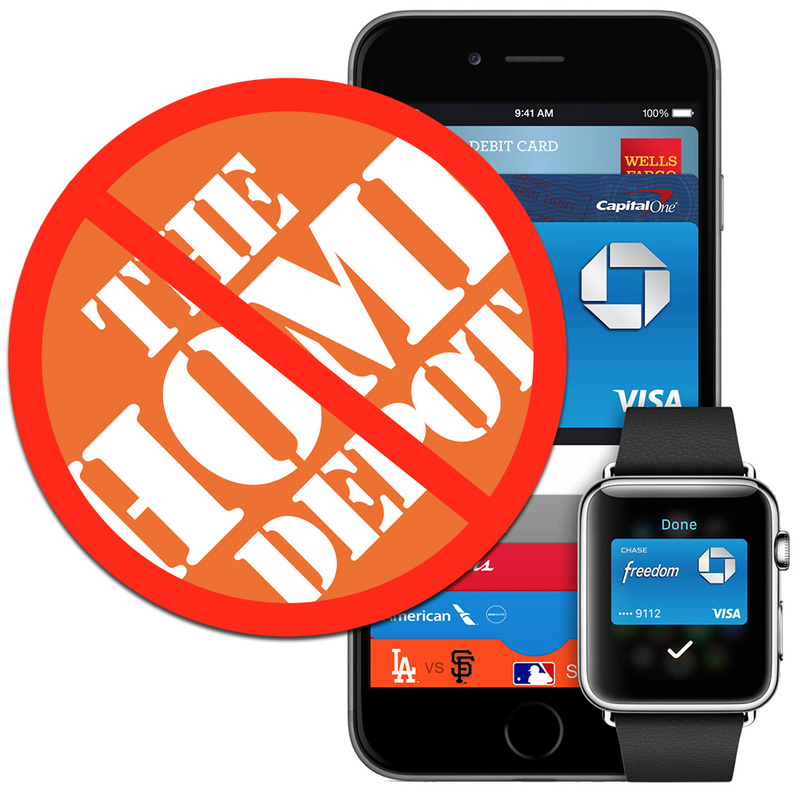 Since Home Depot never officially supported Apple Pay it isn't like the company backed out of any deals with Apple. They did, however, choose to block Apple Pay even as Best Buy announced its official support, and Discover said it will support the service later this year. For Home Depot customers who preferred using their iPhone instead of their credit card, they'll have to decide if it's worth it to break out the plastic or shop somewhere else.